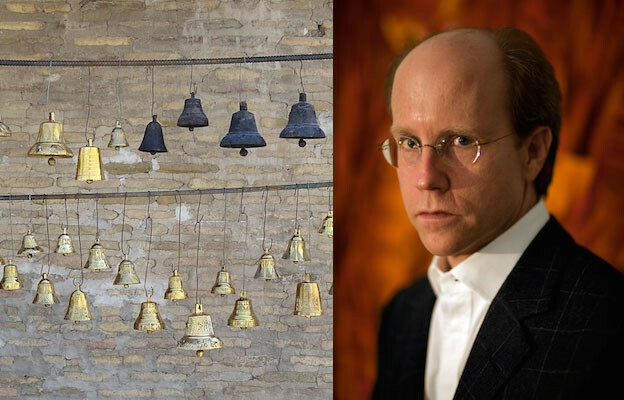 Change ringing provides the model for Randall Couch’s remarkable book of poems, Peal. 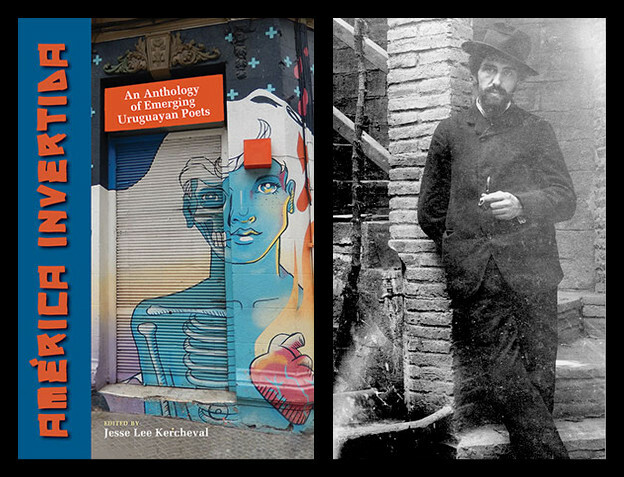 Inspired by what he describes in his book’s introduction as the “rigorous constraint” of change ringing, Couch takes a series of quotations sourced from various fields — canonic and contemporary literature; twentieth-century art, music, and theory; psychology; philosophy; physics; computer science; linguistics; social theory; computer gaming; architecture; and, rather appositely, Stedman and Duckworth’s Tintinnalogia — and permutes them according to the “methods” of change ringing. By means of this quoted material, Couch explains, “Peal explores the analogy of melody and syntax by applying the methods of change ringing to rows of words: poetic lines.” Thus, true to its title, Peal presents a series of syntactical changes as if rung on a set of bells. The result is thirty-two poems that are preceded by a cento formed out of the same set of quotations. 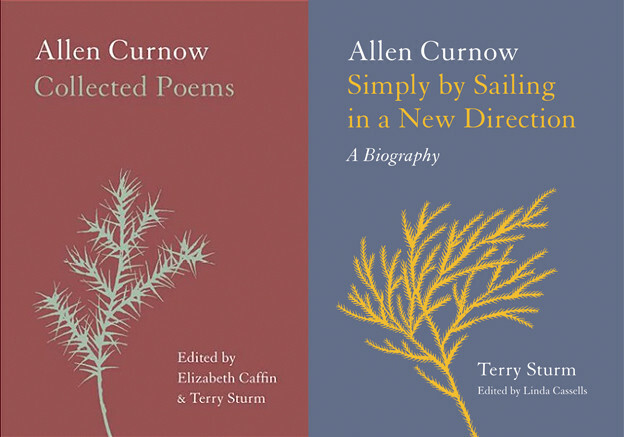 In the spirit of change ringing, these poems explore what Ingram calls “the mystery and wonder of permutations.” “Each individual poem begins with a line of four to nine nonrepeating words,” Couch writes. “That line is then permuted according to one of the methods, resulting in anywhere from 12 to 240 unique variations.” In this way, each poem performs an equivalent of what in change ringing is called a “round block”: an ordered sequence of “rows” (the term for any permutation of bells) linked by “changes” (the term for when the order of adjacent bells in a row is altered) that are all different with the exception of the first and last rows, which are the same. “Numbers,” for example, permutes a line from Alexander Pope’s “An Essay on Criticism” and undergoes thirty-one variations before returning to the initial ordering of Pope’s eight words: “But most by numbers judge a poet’s song.” The theme of numeracy is especially significant as Couch applies to each of his poems in Peal what change ringers call “methods” — the specific sequence of changes that constitutes a round block. Each method (and there are many) is given a specific name. Some of the methods that Couch adopts in Peal include “Baldrick Differential Little Bob Triples,” “Bright Delight Minor,” “Titanic Triples,” “Double Trouble Little Place Minimus,” and “Rapunzel Little Alliance Major” — inventive, playful, idiosyncratic names that often reflect their place of conception or their ringers’ whims and fancies. In the case of “Numbers,” Couch implements “Forward Major,” with Pope’s eight words providing an equivalent of the eight working bells that this particular method uses. “Numbers” also highlights the visual quality of the poems in Peal. Firstly, there are the solid blocks of justified text that evoke (or perhaps visually pun) the change ringing nomenclature of the round block. Colin Sackett’s red, blue, and black typography makes further allusion to the procedures of change ringing by evoking the patterns of “blue line” method diagrams. These diagrams list numerically each working bell of a given method and the successive rows of permutations, depicting the heaviest (tenor) bell in blue and the highest (treble) in red, not unlike the color-coded tube lines on a map of the London Underground. In “Words,” for example, “are” serves as the heaviest, blue, word in Couch’s permutations of quotation from Gertrude Stein’s The Geographical History of America:“Money is what words are,” adopting the “Stedman Doubles” method to do so. Comparing Couch’s poem with the blue line method for Stedman Doubles, it is readily apparent how the word “are” faithfully replicates the path of the blue tenor bell in the method diagram. When Couch advises in his introduction that Peal’s “permutations create distinctive visual patterns as well as frequent semantic surprises,” it is worth noting how these patterns and surprises can occur in conjunction, or dialogue, with one another. For instance, in the book’s penultimate poem, “Paths,” John Denham’s wonderful line from his once-lauded, now largely forgotten, poem “Cooper’s Hill” — “Through untrac’t ways, and aery paths I fly” — visually wends its way via the red, treble word “Through” as its position shifts in each successive line. Quotation and citation are familiar, well-established practices in modern and contemporary poetry and also, as the inclusion of a cento in Peal attests, in much older poetic practices. (And perhaps here it is worth noting how past and present seamlessly fuse in Peal and how the book renders platitudes such as “traditional,” “innovative,” and “experimental” redundant.) Yet, while the old adage “change the context, change the meaning” certainly applies to the material that Couch uses in Peal, it is also worth noting how the visual aspect of the poems amplifies the resonances of the quoted material that Couch selects. For example, “untrac’t” now speaks saliently in the sense of “tractate” (a literary work treating of a particular subject) with the poem forging its own paths (tracts/tracks) by visual rather than merely discursive means. We might also note how Stein’s quote also picks up the implicit theme of wealth that occurs in the quote from Stedman and Duckworth’s poem “On the Ingenious Art of Ringing” (from Tintinnalogia) that Couch uses in “Bell”: “And every Bell is a Wit’s Common-wealth.” In its original context, the poem seems to proclaim the beneficial, instructive effects of bell ringing on intellect or reason, as well as on the general good of the community: “For here by them we plainly discern / How that civility we are to learn.” Yet “Bells” also encourages us to read this Wit as mental acumen and ingenuity. Couch, after all, mines the “common-wealth” — the rich storehouse — of change ringing (just as he does literature) for his own singular poetic ends. We might do well to remember then that the title of Couch’s book also implies peals of laughter, as there are moments amid the book’s noise, numbers, permutations, and tinnitus-inducing mathematics (all of which is not unlike reading Louis Zukofsky) that are playful and humorous. Take, for instance, Couch’s use of Walter Pater in “Art.” One might consider it trite to use Pater’s well-worn, overly familiar phrase, “All art constantly aspires towards the condition of music,” in a book that has music at its core. Yet, in this instance, the lofty aspirations of Pater’s dictum conceal a reference to church spires, and, by close association, steeples, towers, and belfries — those very physical conditions of change ringing. Through the repurposing or détournement of language that is not their own (whatever that might mean), the writers here allow arbitrary rules to determine the chance and unpredictable disposition of that language; they let artificial systems trump organic forms; and they replace making with choosing, fabrication with arrangement, and production with transcription. In these ways, previously written language comes to be seen and understood in a new light. But these underlying tensions that occur between chance and design, happenstance and determinacy, limit and liberty, as well as between harmony and discord, are what make Peal such an engaging, and, one might add, striking book. Charles Ives — composer of The Bells of Yale and From the Steeples and Mountains — claimed that, “An apparent confusion if lived with long enough may become orderly.” The poetic permutations of Peal are resounding affirmations of such a sentiment. 1. Fabian Stedman, Campanalogia, or, The Art of Ringing Improved (London: W. Godbid, 1677), 1. 2. Tom Ingram, Bells in England (Newton Abbot, Devon: David & Charles, 1987), 48. 3. Richard Duckworth and Fabian Stedman, Tintinnalogia, or, the Art of Ringing (London: Thomas Archer, 1671), 3. 4. Ingram, Bells in England, 49. 5. Randall Couch, Peal (Tipperary, Ireland: Coracle Press, 2017), np. As Peal is unpaginated, page numbers have been omitted throughout this review. 6. A polyvocal performance of Peal at UPenn’s Kislak Center in December 2017 by members of the group Orchestral Maneuvers, under the direction of Sandra Bain Cushman, uses the concept of rows and changes to great effect. 7. Marjorie Perloff, Unoriginal Genius: Poetry by Other Means in the New Century (Chicago and London: University of Chicago Press, 2010), xi. 8. Craig Dworkin, “The Fate of Echo,” in Against Expression: An Anthology of Conceptual Writing, ed. Craig Dworkin and Kenneth Goldsmith (Evanston, Illinois: Northwestern University Press, 2011), xxxvii. 9. Dworkin, “The Fate of Echo,” xliv. 10. Duckworth and Stedman, Tintinnalogia, np. 11. Dworkin, “The Fate of Echo,” xliv. 12. Ezra Pound, Literary Essays, ed. T. S. Eliot (London: Faber and Faber, 1960), 3. 13. Charles Ives, Essays Before a Sonata (New York: The Knickerbocker Press, 1920), 26.